13th March was the deadline for opposing the new top level domains. ICANN received a total of 12.113 comments and 304 of the top level domains were opposed. Check the infographic for the top 10 most opposed domains. 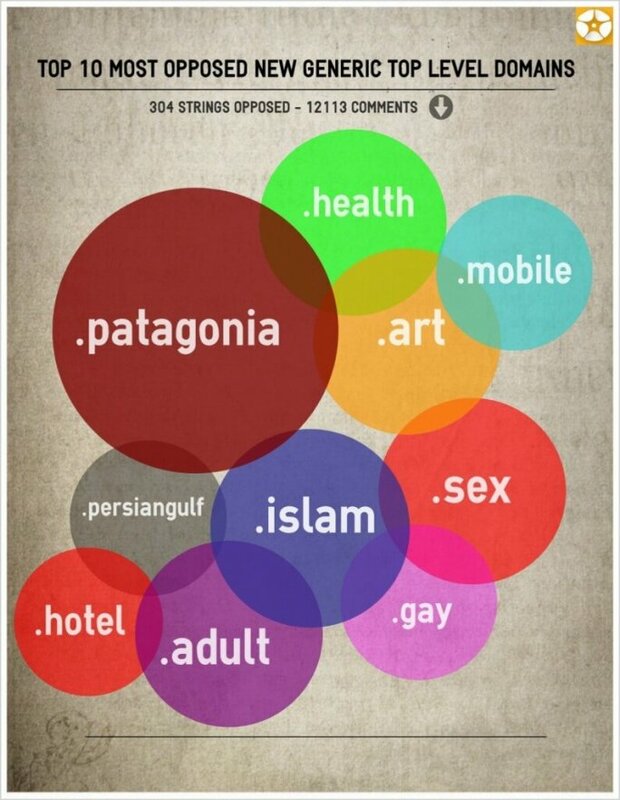 In the infographic you can see the top 10 most opposed top level domains. ' .patagonia received the strongest opposition from local Argentinians. The private company Patagonia Inc. had originally applied, however it seems that with such strong opposition this top level domain will not be launched in its current form.